SAGE has acquired Talis, a technology company, and its enterprise teaching and learning platform, Talis Aspire, which is used by over 1 million students at more than 100 universities across 8 countries, and counting! Why are so many educational institutions across the world choosing Talis? Talis Aspire Reading Lists help you to create and manage an easy-to-use, efficient and up-to-date course resource service. Then there’s Talis Aspire Digitised Content, which provides an easy, efficient, and compliant digitisation service. 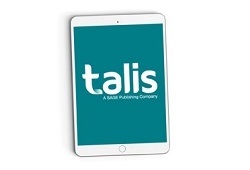 Finally, there’s the tailored support and guidance services, which ensure your institution gets the most possible value from your investment in Talis’s product suite. Visit talis.com to see how these resources may benefit your library. 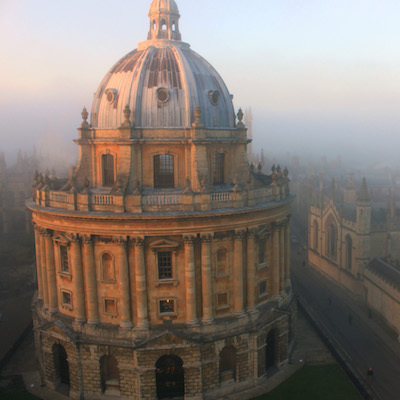 The University of Oxford, ranked number one in the Times Higher Education World University Rankings 2018, have selected Talis Aspire to manage and deliver its online reading lists service and copyright management system. Read the full blog post. Talis’s key product is Talis Aspire. It is a reading list management system (RLMS) for academic libraries enabling them to manage multiple course reading lists, connecting faculty and students with their library holdings and enabling librarians to use the reading lists to make intelligent library purchasing decisions. As librarians and faculty increasingly work to provide students with easy and immediate electronic access to key content resources, often via their learning management system (LMS) the RLMS has become established in UK libraries, with growing interest outside of the UK. Adding the Talis RLMS to our portfolio of Technologies for Learning and Research, SAGE will further expand our offerings of software and service solutions to support learning and research in the higher education institution. Talis fits this goal by responding to the evolving technological needs of academic librarians in order to support successful faculty teaching and student learning. How will Talis work with SAGE? Talis will continue to be run under its existing management from Birmingham, United Kingdom as a SAGE company. There are no plans to merge the group into SAGE or to change existing relationships between Talis and its partners or customers. SAGE is investing in Talis to continue doing what they currently do and in the way they do things now. So Talis will continue as a separate business run by the existing management team but owned by SAGE. All customer service queries will continue to be handled by the Talis Sales and Services teams. Please contact sales@talis.com.